I couldn’t help but chuckle as I looked down at the description of the box I held in my hand, “Strawberry chocolate attached fragrant biscuit.” This isn’t my first time dealing with Peperos…I was introduced to them by my friend of 12 years, Alexis and her husband Jordan. 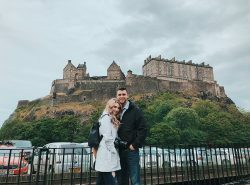 I’m not sure if they knew what they were…but they were good so that’s all that mattered. Peperos originated in South Korea (or so they say) by the mega-brand Lotte. They are made from a long piece of sweet biscuit and dipped in chocolate. They remind me of chocolate covered pretzel sticks. 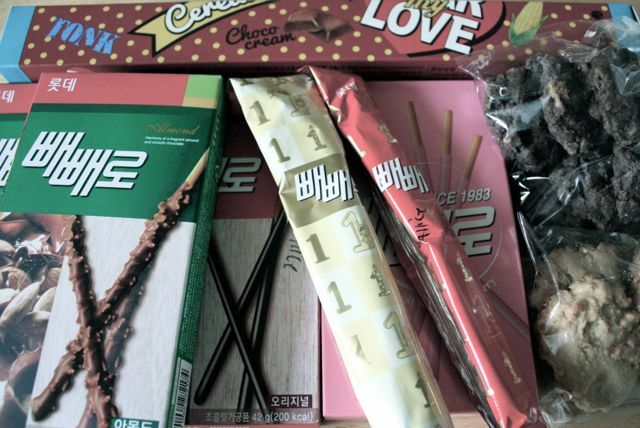 Now what I didn’t know until last Friday was, 11/11 is national Pepero Day. I found out about it though my students’ thoughtful gifts as they brought me boxes of these sweet little treats as their tokens of love and appreciation. From what I can gather Pepero Day is a Valentine’s day of sorts mainly for school-aged children and young adults. 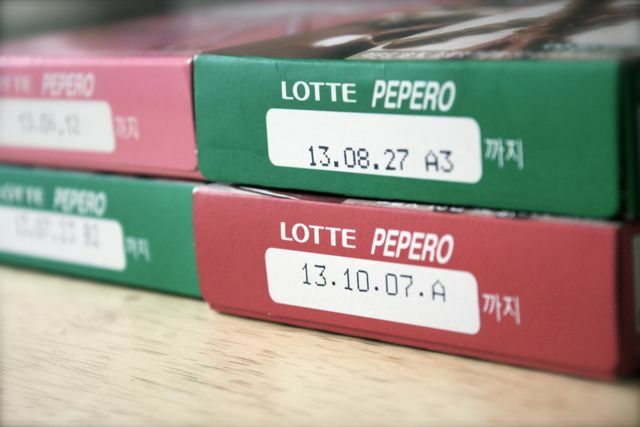 The reason Pepero Day is on 11/11 is because this date looks like 4 of these chocolate dipped biscuits. Young children and adults exchange Pepero’s with their friends and family. These sticks come in all sizes…I’ve seen mini sticks the size of a finger, all the way to big and thick sticks the size of my arm. They are dipped in various types of chocolate: Strawberry, lemon, white chocolate, milk chocolate, and dark chocolate. Some Peperos are sprinkled with nuts or sprinkles. I’m all about new holidays, and any holiday that revolves around chocolate is instantly a favorite to me. 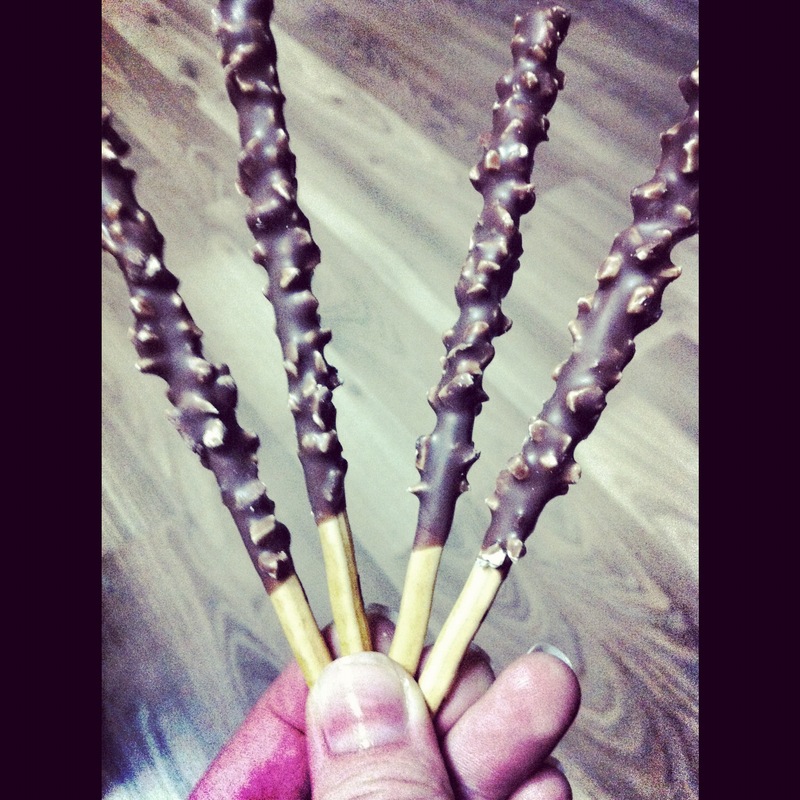 YOU can celebrate Pepero Day too! I have seen them at a store called WINCO (a store that’s located in Western America), but I’m sure if you have a diverse type of grocery store you’ll be able to locate the chocolatey goodness!